Many self-published authors have found out only too late that having a PR plan in place before you release your book dramatically increases its chance of success. 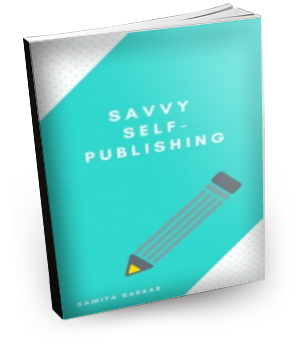 So how can self-published authors become their own most valuable publicity tool? To help you get started, I’ve asked three public relations experts to reveal their top book publicity tips. Susan Self is head of publicity at Xenon Pictures in Los Angeles, and also provides PR services to independent authors and filmmakers. In 2014, the President of Xenon, S. Leigh Savidge, was informed that the screenplay he co-wrote for Straight Outta Compton—a film depicting the career of West Coast rap group N.W.A. over ten years ago—was going to be released by Universal Pictures in 2015. 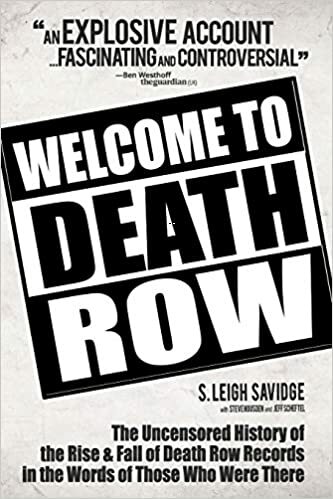 Self knew that they would have to act fast by self-publishing and marketing his related book, Welcome to Death Row, if they wanted to capitalize on all the publicity the film would receive. But, to get book buzz, Self did not pursue traditional book reviewers. “Positive accolades by celebrities, award winners and highly credentialed experts can definitely lead to sales, and are often more powerful than a traditional review. And these blurbs can be endlessly recycled on a book cover, author website, or gravestone until the end of time. Once you have a great blurb, it is yours for life,” says Self. She knew that the key was finding people who already had a passionate interest in the topic of the film and book, such as writers who had already covered West Coast rap, music editor Ben Westhoff, and even a Los Angeles comedian who was also a documentarian. This brought in an audience that would ignore a traditional book review. Aspiring authors may be relieved to know Leigh wasn’t a “famous screenwriter” when he published his book in 2015—the book came out before he received an Oscar nomination. So how do regular, non-famous people form connections? “These B-listers are once-influential people whose works are still well known, but who haven’t done anything lately. Because they no longer get requests on a regular basis, they might be looking for a little exposure themselves. Or their occupations aren’t particularly literary and so they may enjoy the novelty of plugging a book,” Self explains. Possibilities include singers, musicians, chefs, broadcasters, minor and former politicians, athletes, movie producers, screenwriters, former magazine editors or reporters, or other authors. Self recently worked with another self-published author who had written a novel about a little-reported event in Southeast Asia. His writing was exquisite, but he had absolutely zero connections. “I researched the topic of his novel on Amazon and noticed that three non-fiction books on this subject were still selling. Better yet, one author had received the Pulitzer Prize in the 1990s, the second book was written by the head of a major foreign news bureau and the third had been turned into an Academy Award nominated screenplay,” she says. Self knew that endorsements from a Pulitzer Prize winner, New York Times reporter, and Academy Award nominee would brighten up his Amazon page and could be promoted on a variety of websites and social media platforms. 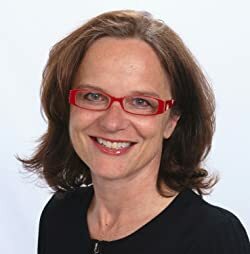 Gisela Hausmann is a PR coach and author of the “naked” (no fluff) series for indie author book marketing. She has been featured on news stations such as Fox and NBC. “First-time authors in particular need to ‘polish up’ their image fast. Trying to stand out in the crowd of ‘bestselling,’ ‘Amazon Bestselling,’ ‘award-winning,’ and ‘multi-award-winning’ authors isn’t easy,” she says. But that doesn’t mean it’s impossible. Local stations like to host local experts, and Hausmann has personally pitched news anchors many times with success. In Book Marketing: The Funnel Factor, she includes a chapter on how to pitch a TV station. Seasonal topics of interest or holidays are an easy way to make a connection between your book’s subject and something that would interest a general TV audience. Fiction authors will have to get a little more creative. Think of the brainstorming session as a fun way to get your creative juices flowing. Have you written a horror novel? Pitch your local anchor a story about the best haunted locales in the neighborhood on Halloween. Sci-fi? Send your pitch before June 14, the date of discovery for the Roswell incident. Valentine’s Day is an opportunity for romance novelists. Do some research to discover if any of the lesser-known holidays can be connected with the subject of your book. Of course, being your own publicist also involves knowing how to reach out to media outlets. In her award-winning book NAKED WORDS 2.0: The Effective 157-Word Email, Hausmann cautions against writing a “me-mail.” Me-mails are unlikely to result in successful pitches, even if you’ve taken Self’s advice and created a great B-list. Instead, focus your pitch on the news anchor and why you are the right author for them to feature, turning the me-mail into a you-mail. Sending the right pitch, at the right time, to the right person is a formula for success. And once you’ve made your TV debut, be sure to document it on your author website for posterity. “All it takes is to pitch the local TV anchor, get on TV, and pull a screen print of the TV station’s online video for your website stating ‘as seen on (TV station’s call letters).’ This way new authors can get themselves a reputation before they even have a chance to win a book award or become a bestselling author,” says Hausmann. Andrea Kiliany Thatcher is a book publicist at Smith Publicity, an independently published author, and a bookseller. She has seen firsthand that a lot of authors either think that someone is going to throw them a book party, like their publisher—very unlikely unless you’re in the top 10% of authors at the top 5 publishers, and even then it’s not a given—or, that a book party would be too expensive to host on their own. 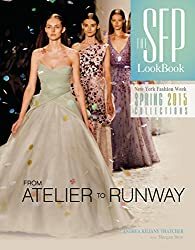 “Just like you can’t always just wait for inspiration to strike when writing your book, you can’t just wait for marketing and events to happen,” says Thatcher, who took it on herself to plan a few launch parties for her fashion book, Atelier to Runway. For the venue, Thatcher looked for local fashion boutiques. Once you’ve decided on a location, pitch them why it would benefit them to host this party, what they could sell at the event, whether they could charge admission, what exposure they will get in local media, how connected your audience is, etc. And of course, don’t let your guests go hungry. “Free booze and food is the best way I know to boost attendance! For another event, I partnered with a local distillery which provided a few bottles of alcohol, and I bought the rest of the ingredients myself. For both parties I partnered with a cupcake bakery for desserts. For one party, I hit up another author from my publisher to provide cupcakes in exchange for selling her book at the event, and of course all the social media mentions and photos,” Thatcher reveals. “All of the brands that were sponsoring the different aspects pushed the invite out to their newsletter subscribers and social media. Since you’ll likely be using sponsors who could also use the exposure, a new business rather than an established one, you all get to combine your followings to increase your reach,” she says. But as the author, it’s your responsibility to get the details out to local press. A good start is to look for local event listings websites and post your event. Many authors will tell you that their books are like their babies. But how often do people having a baby wait until childbirth to start baby proofing their home? Self-published authors usually don’t have a publicity team at their disposal, but what they do have is passion for their project. Because no one knows your book better than you do, while you’re still in the conceptual phase of your book baby, ideally you should also be writing your PR plan. This avoids the scrambling period many self-published authors find themselves in once they’ve brought their book into the world. Are there any niche groups that your book would particularly appeal to? Perhaps there is a business or a nonprofit that you could form a partnership with. When it comes to your book’s subject, who are the major voices in the blogosphere? Keep these things in mind while you’re still in the process of putting pen to paper, and you’ll have a publicity plan put together months in advance of your launch date.